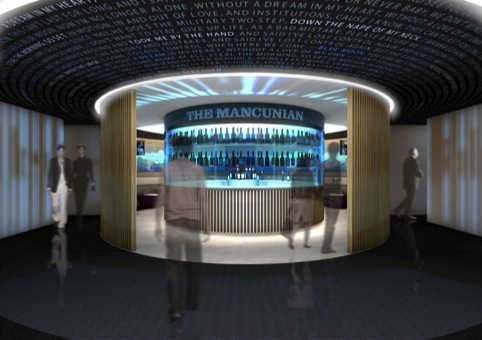 20.20 is working on the redesign of two hospitality suites at Premier League champions Manchester City’s Ethiad Staidum. This follows work carried out by Music last year on customer profiling ‘to help build a picture of what the suite represents’ according to Music. The Connell Club takes its name from the Connell family, who were influential in setting up the Manchester City in 1880. 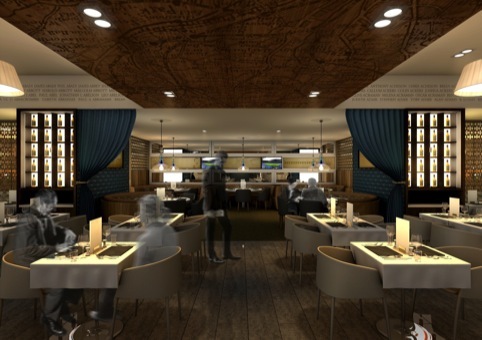 Its new offer includes fine dining for up to 220 covers and a premium space which fans can watch the games from. A narrative has been designed to explain the story of the Connell family using a palette which 20.20 describes as ‘warm, welcoming and intimate’. 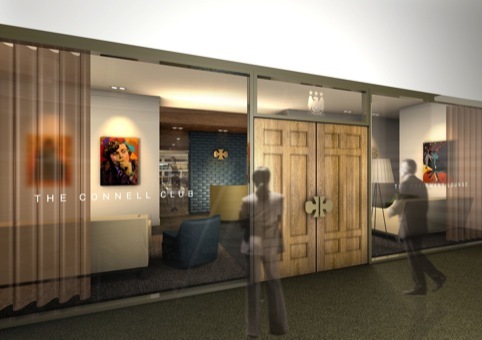 A gallery entrance displaying local art will give way to a ceiling-mounted map, showing where the Connell family lived and set up the early football club. Five ‘ambassador booths’ with circular tables form the highest tier offer, each representing one of the values of the St Mark’s Cross – the club’s first crest – enscribed around the perimeter edge. Laser-cut sliding aluminium doors delineate the ambassador booth area and allow flexibility for non-matchday events. Graphics of the club’s chants will line the walls, along with lyrics of famous Manchester songs. Soundwaves will be transferred onto hanging chainmail screens and lyrics will cover the ceiling. Vinyl finishes and monochromatic colours are to feature throughout the space, which now has its bar at one end to ‘create a more dramatic entrance’ and open up panoramic views of the pitch and stadium. There are eight suites in total at the stadium. Music has developed a graphic identity for the Connell Club and The Mancunain by looking at what each of the eight stands for, according to Music creative director David Simpson. 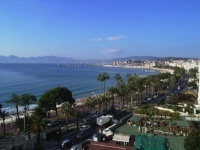 ‘To develop two we’ve had to establish where they all fit in. Before, if you walked into the The Mancunian and The Boardroom, they’d look exactly the same,’ says Simpson. Simpson says Music and 20.20’s work ‘will dove-tail’ and the new brands will be applied to marketing materials and membership packs. 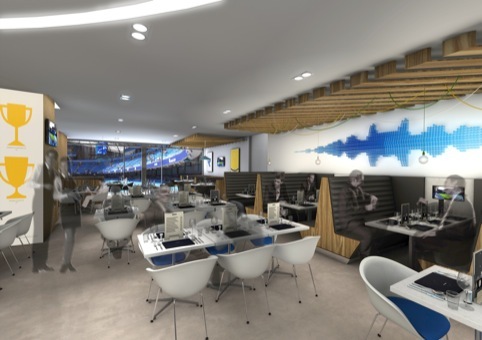 The new suites are expected to be completed for the beginning of the new Premier League season in August.